Represents Puerto Rico. She is serving her second term in the House. She is a non-voting delegate. What policy areas does Res. Comm. González-Colón focus on, as expressed by her press releases? Learn more. What topics does Res. Comm. González-Colón talk about in her recent press releases more often than other members of Congress do? Learn more. What members of Congress use language that is most similar to Res. Comm. González-Colón in their recent press releases? Learn more. H.R.2306, a bill sponsored by Rep. González-Colón, was referred to the House Committee on Energy and Commerce. H.R.2306: To amend titles XI and XIX of the Social Security Act to strengthen the Medicaid program in Puerto Rico, and for other purposes. 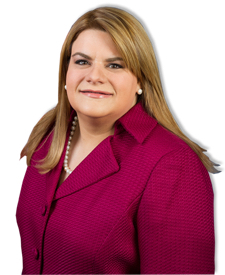 H.R.2243, a bill sponsored by Rep. González-Colón, was referred to the Committee on Ways and Means, and in addition to the Committee on Energy and Commerce, for a period to be subsequently determined by the Speaker, in each case for consideration of such provisions as fall within the jurisdiction of the committee concerned. H.R.2243: To exempt health insurance of residents of United States territories from the annual fee on health insurance providers. Rep. González-Colón released a statement: Declaraciones de la comisionada residente, Jenniffer Gonzlez Coln, al comienzo de la vista pblica del Comit de Recursos Naturales de la Cmara de Representantes de Estados Unidos.